Description: Awe-inspiring Mikado gown with a sheer halter, sweetheart neckline and full box-pleated skirt. 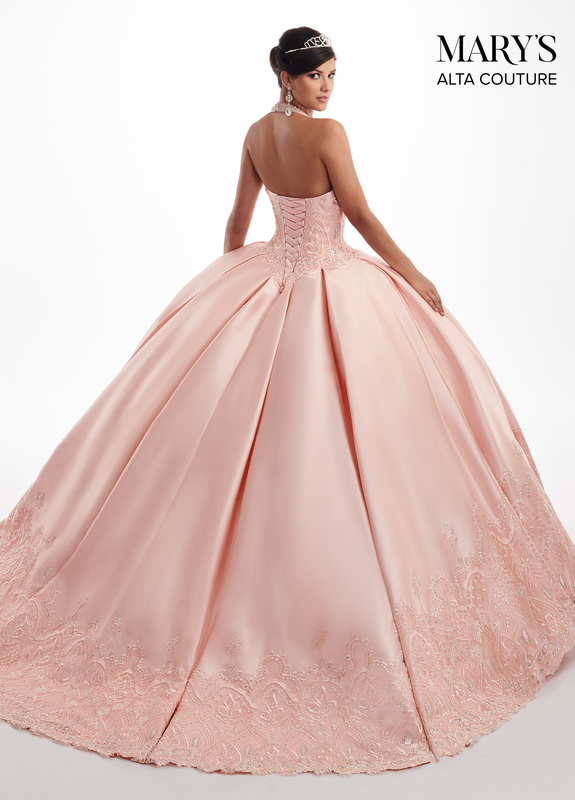 The bodice and hem have been embellished with embroidery and crystal beading. 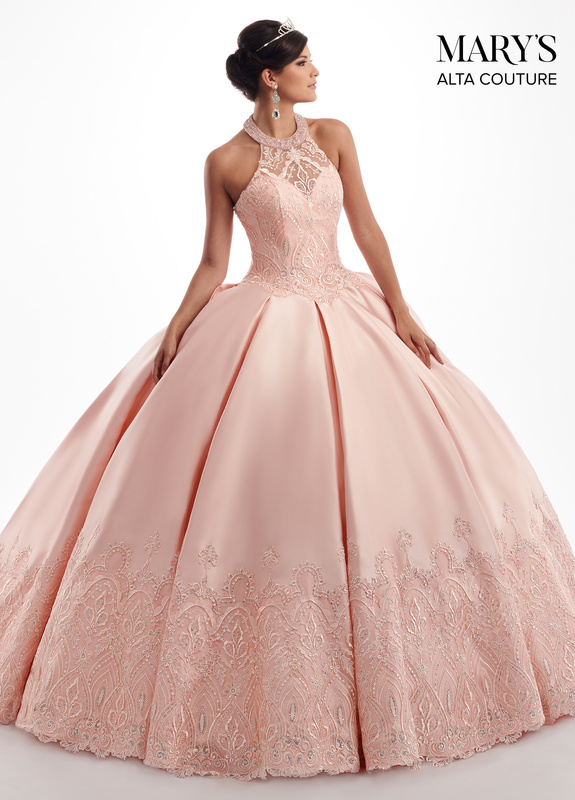 The gown finishes with a full train, lace-up back closure, and a matching Mikado bolero jacket.